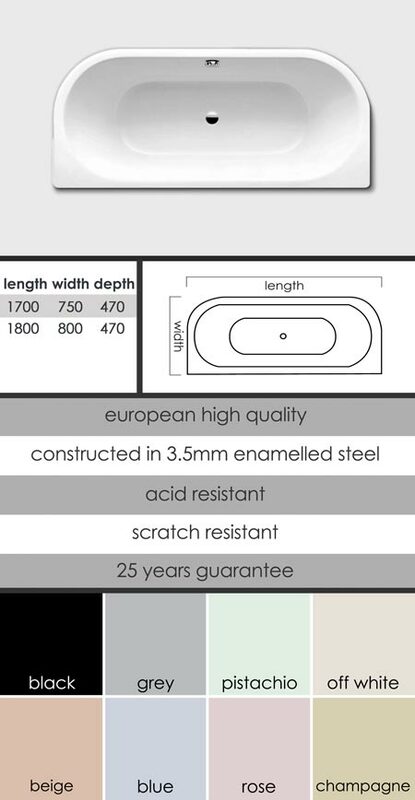 This doubled ended bath is made of 3.5mm stove enamelled steel which is highly acid, impact and scratch resistant. This luxury quality steel bath is stocked in white with coloured baths supplied to special order. * Made of 3.5mm steel. * Acid and very scratch resistant. * Coloured baths special order.